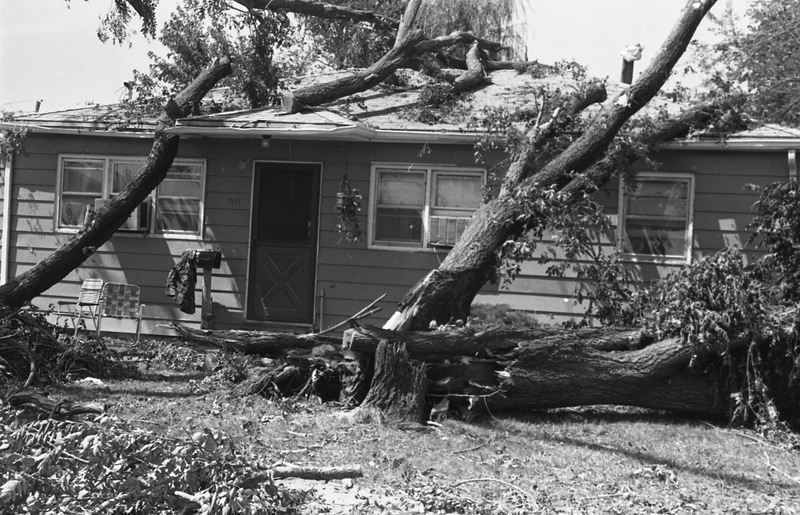 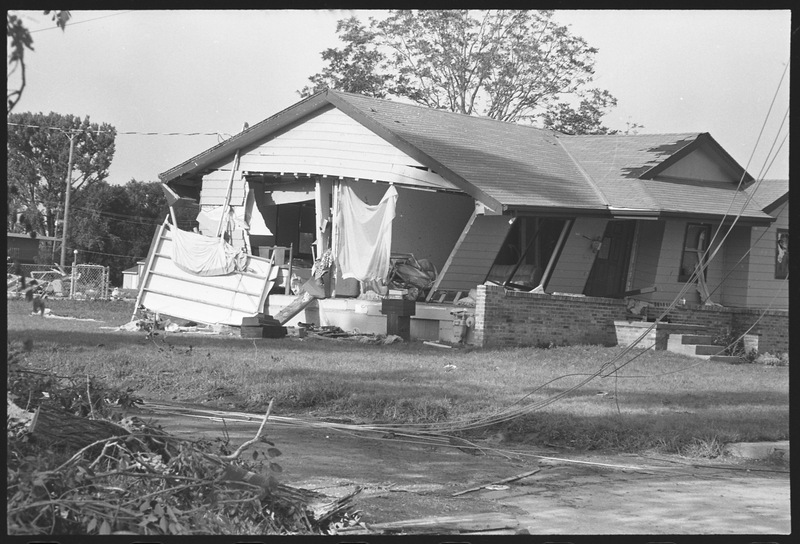 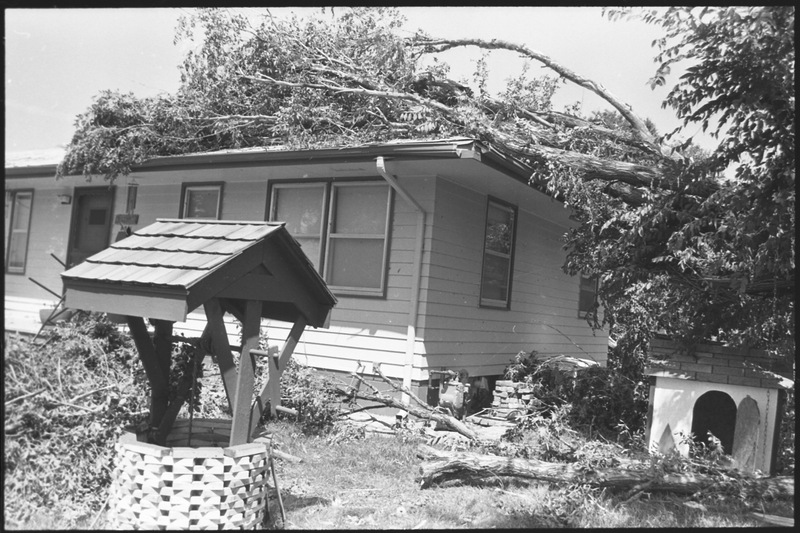 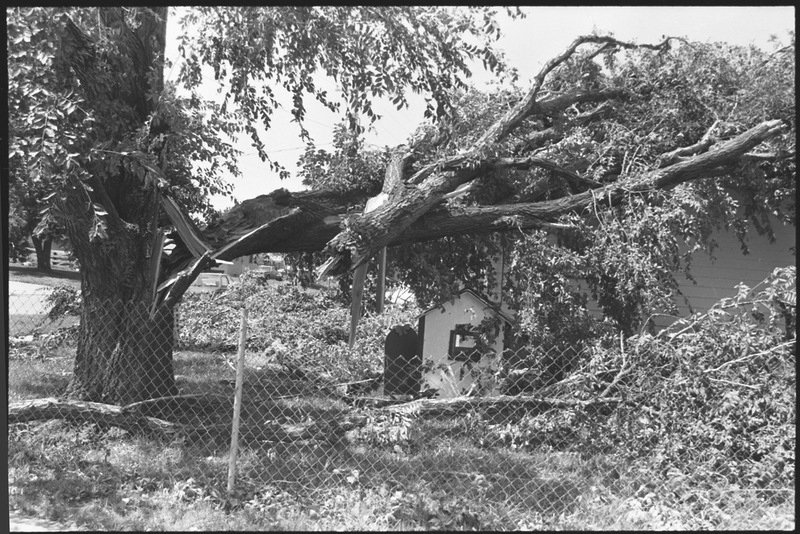 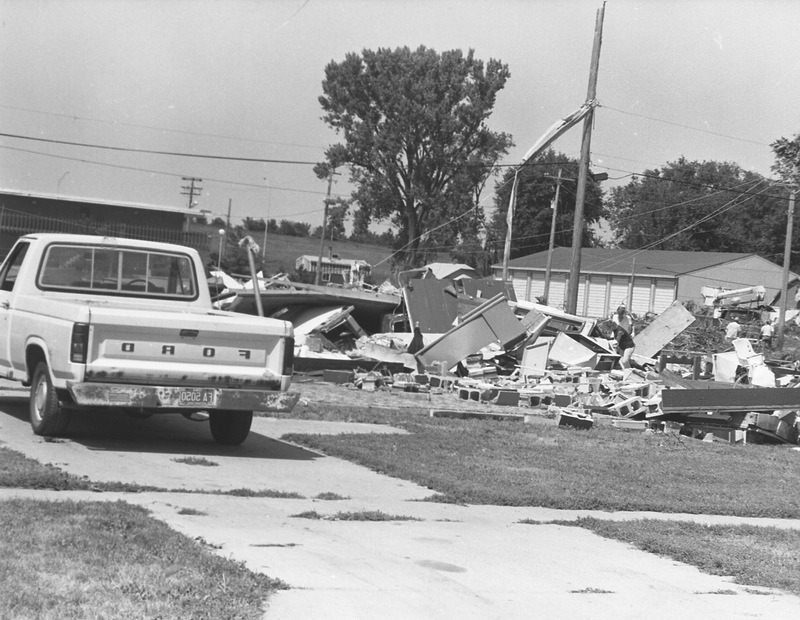 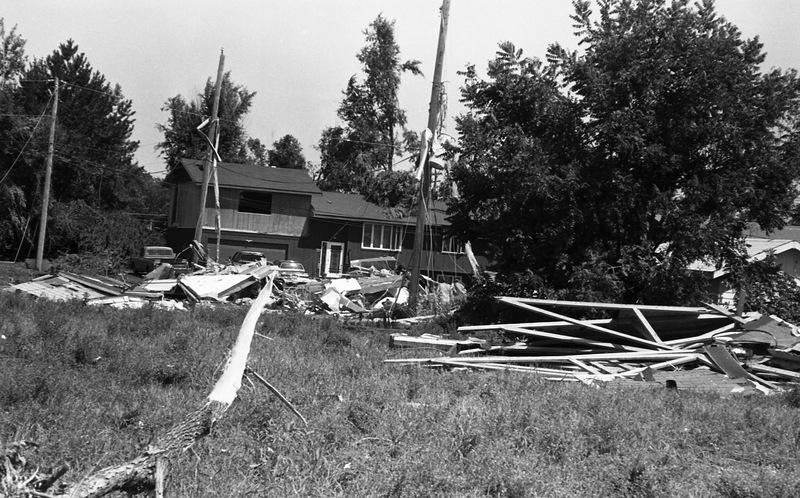 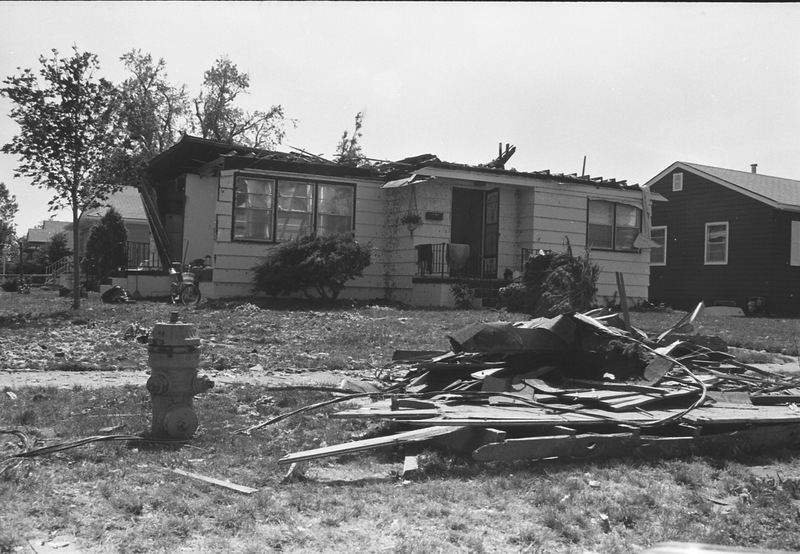 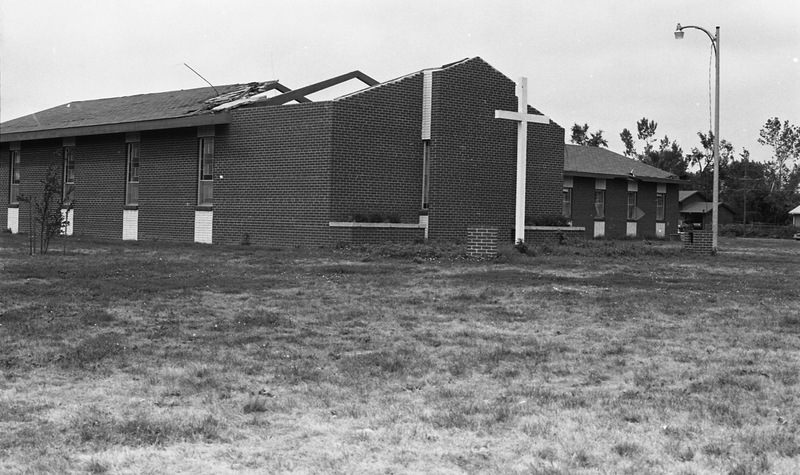 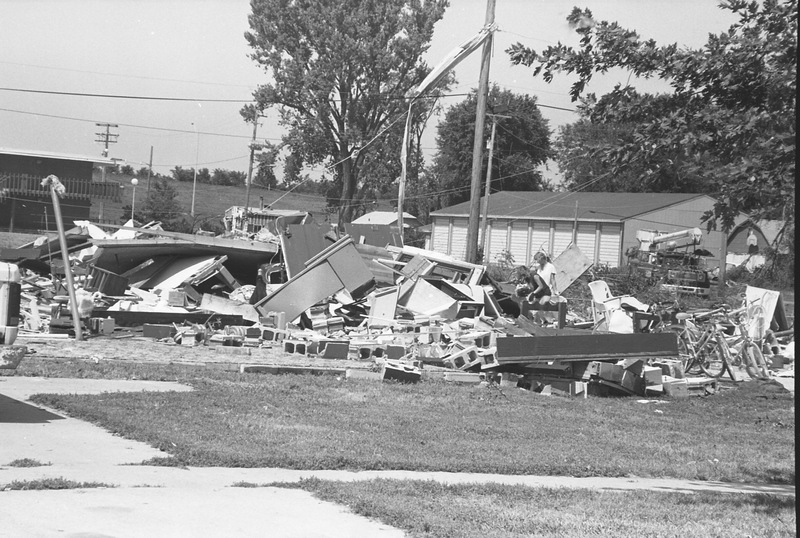 It only lasted fifteen minutes, but the storm Friday, July 15, 1988 left a great deal of damage behind. 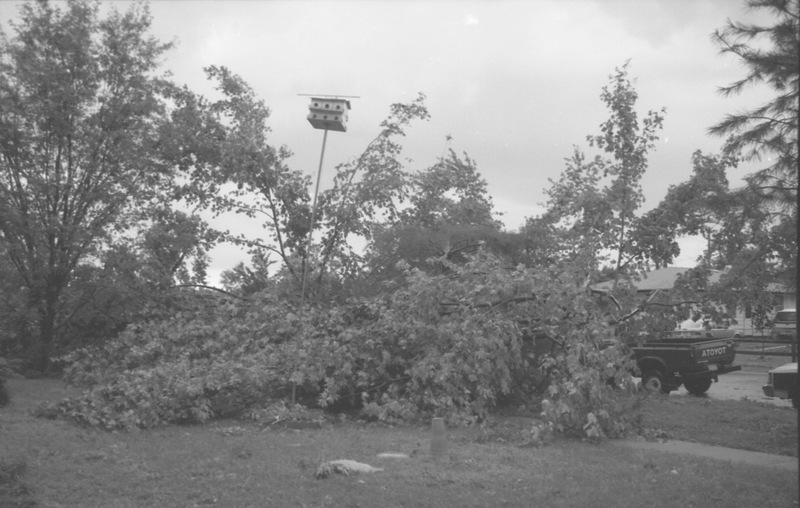 A severe thunderstorm had been brewing since the night before, but that it would turn into a tornado was a surprise... warning sirens went off at 4:13 and the tornado touched down just one minute later. 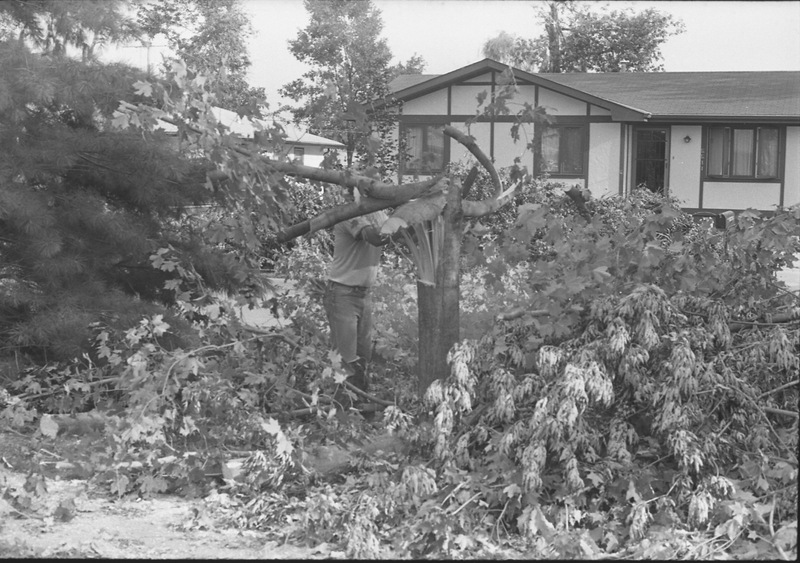 Four funnel clouds hit the city, primarily the south and west end, but high winds effected the entire city. 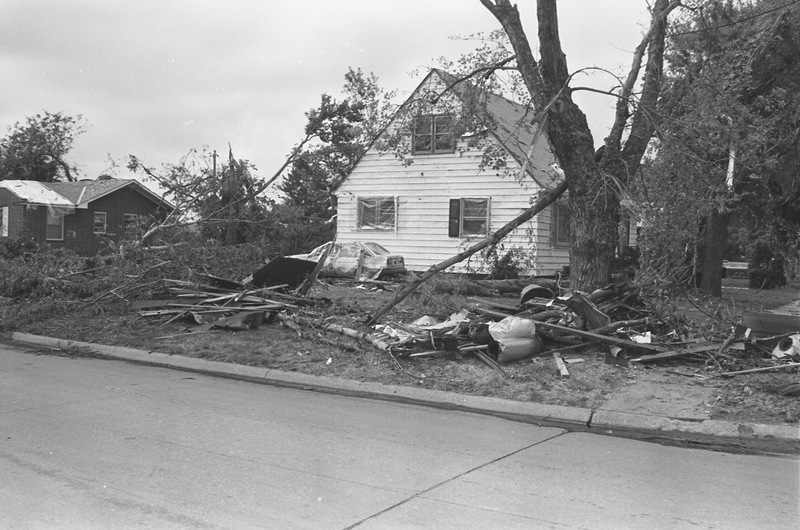 There were no fatalities, though there was one serious injury sustained in an automobile accident during the storm and 83 people were treated for a variety of cuts and bruises. 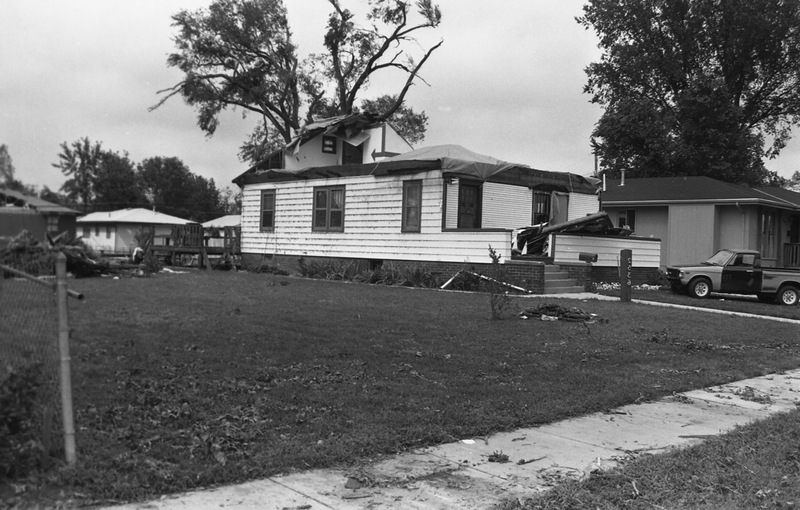 Governor Terry Branstad declared Pottawattamie County a disaster area. 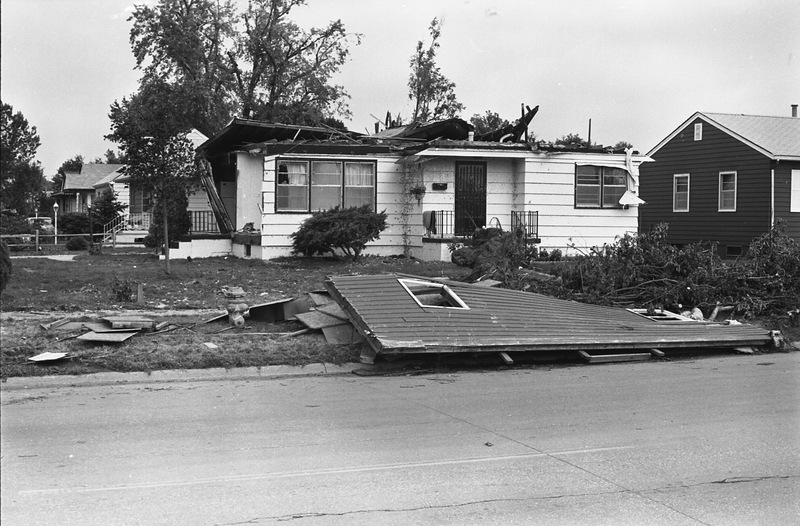 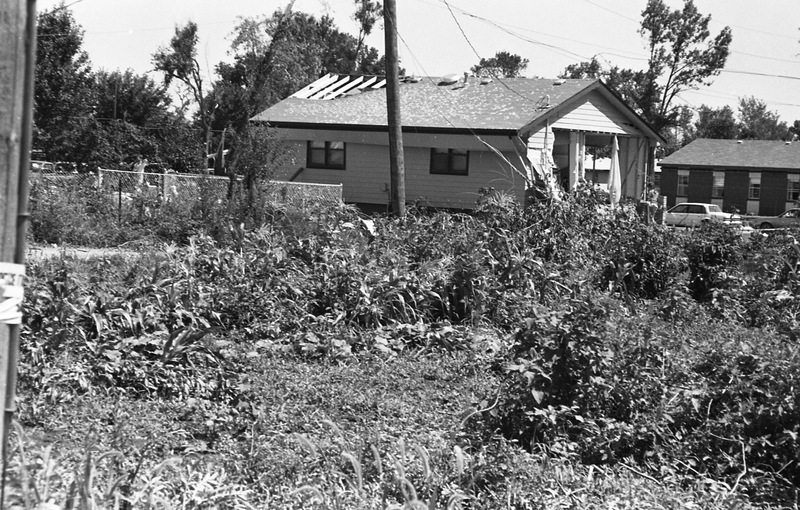 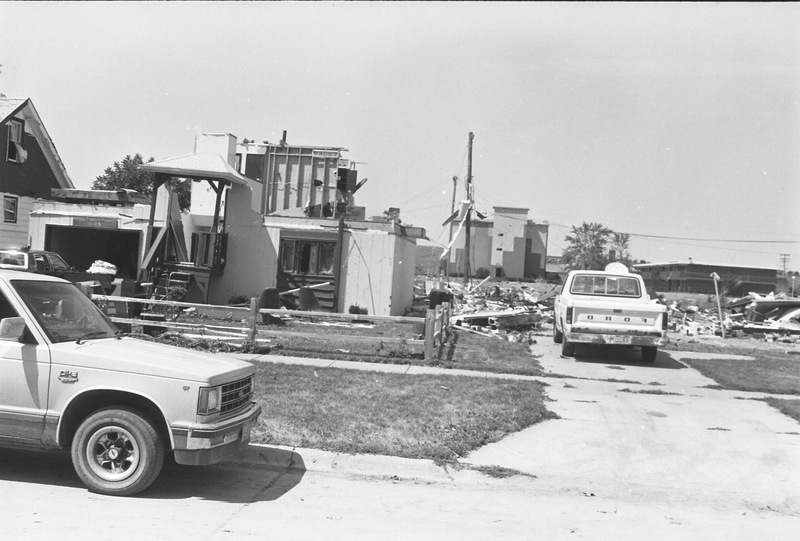 This was not Council Bluffs' first tornado. 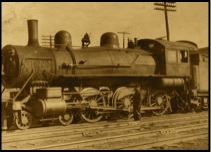 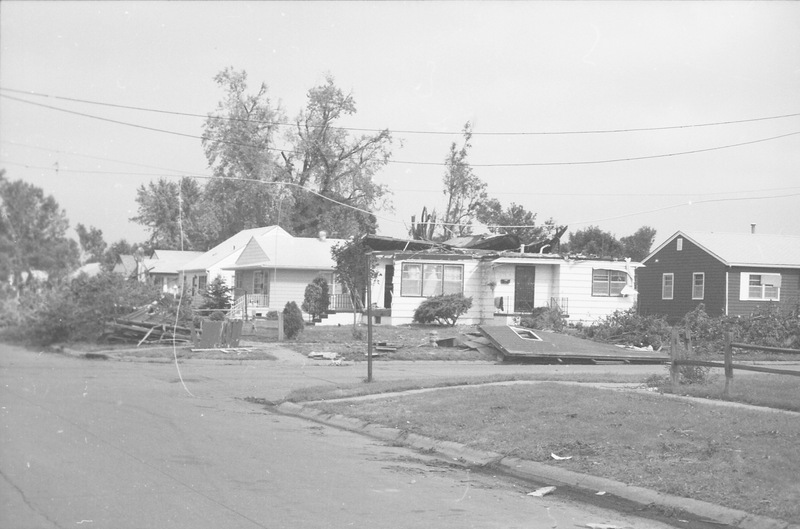 Though the Easter Sunday tornado of 1913 is primarily remembered as having done severe damage in Omaha the storm did cross the river at about the the Illinois Central bridge, traveled south, and did great damage to buildings at Lake Manawa before moving north to Lincoln, Franklin, Woodbury Avenue. 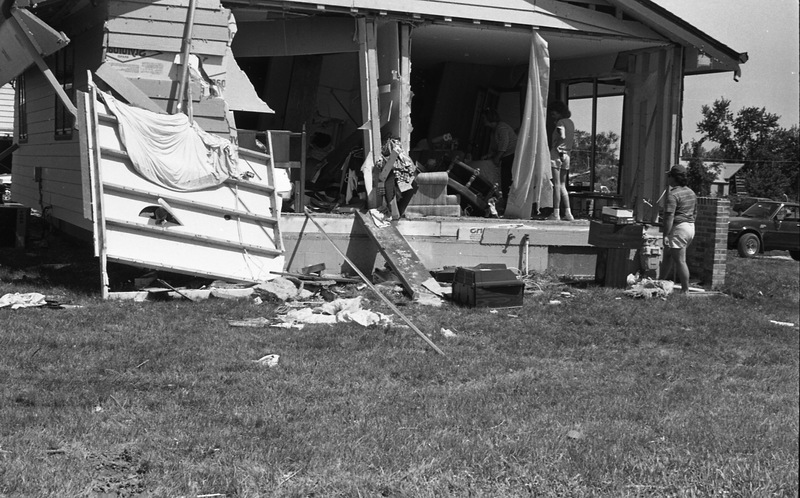 The home of nurseryman J.R. Rice was set on fire, and Mr. and Mrs. Rice were "seized in its pitiless grasp and hurled lifeless against the side of the hill 500 feet away." 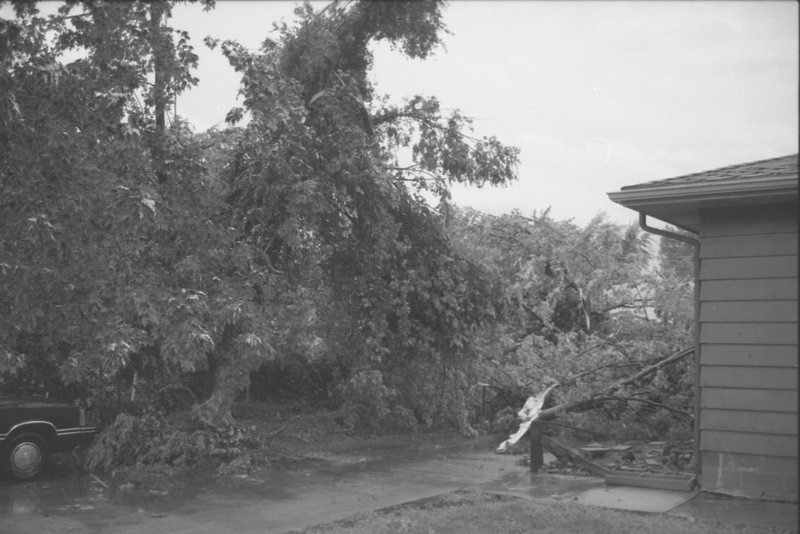 That twister was eclipsed in terms of damage just a decade later then "the worst tornado and cloud burst in the city's history" left Council Bluffs "a collection of pitiful scenes" in September, 1923. 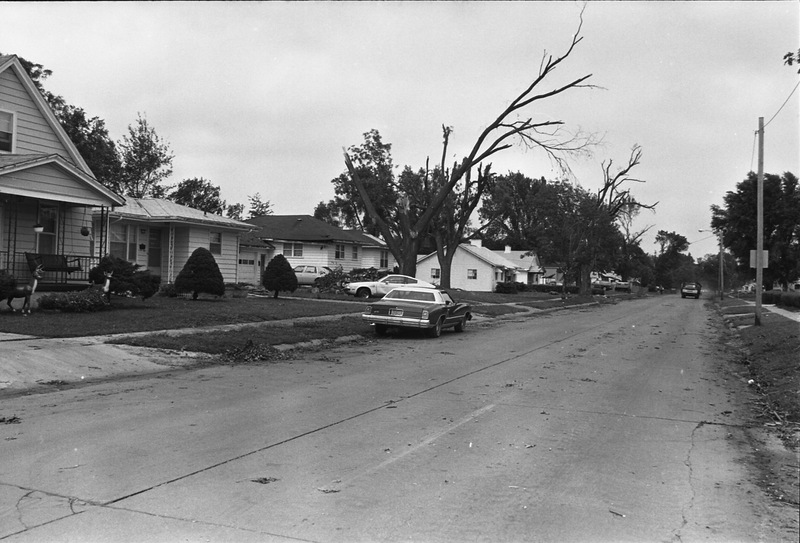 Tornado damage was most severe in the northwestern part of the city, temporarily halting Milwaukee Road, Burlington, and Rock Island trains. 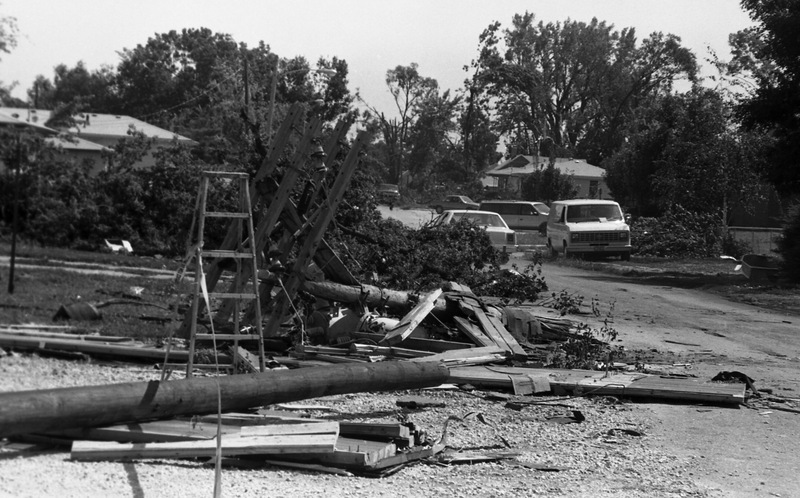 Flood damage mostly paralleled Indian Creek. 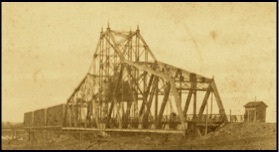 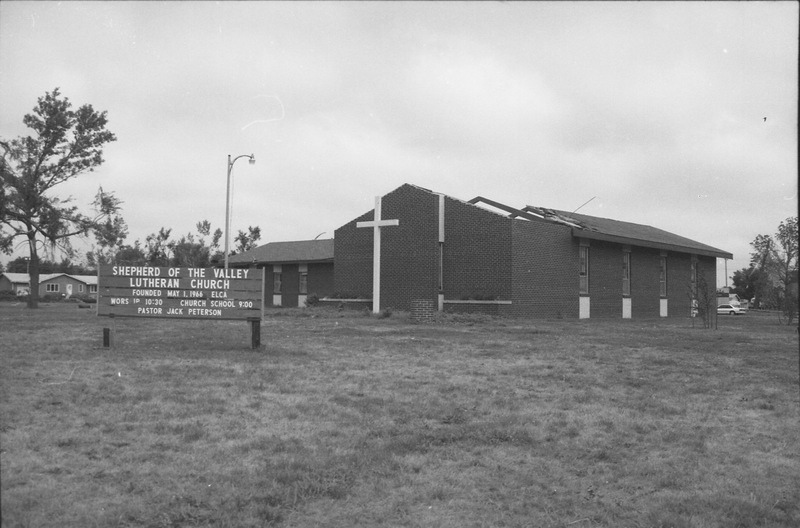 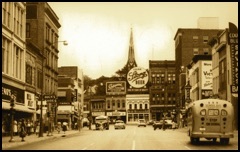 (photography by Historical Society member R.H. Fanders).